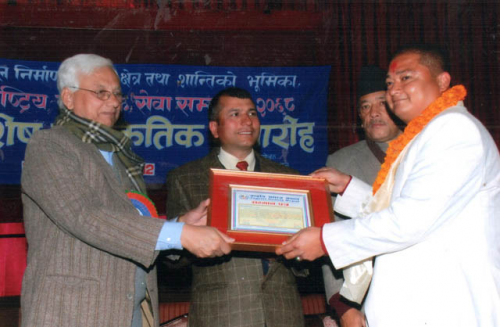 Chairman Mr. Bishnu Bohara has been awarded with National Service Recognition Award 2012 (2068B.S.) recently during a Social Worker Felicitation Programme organized by Jagriti Samaj, Nepal for his outstanding performance in the society. The chief guest of the program was C.P. Gajurel.